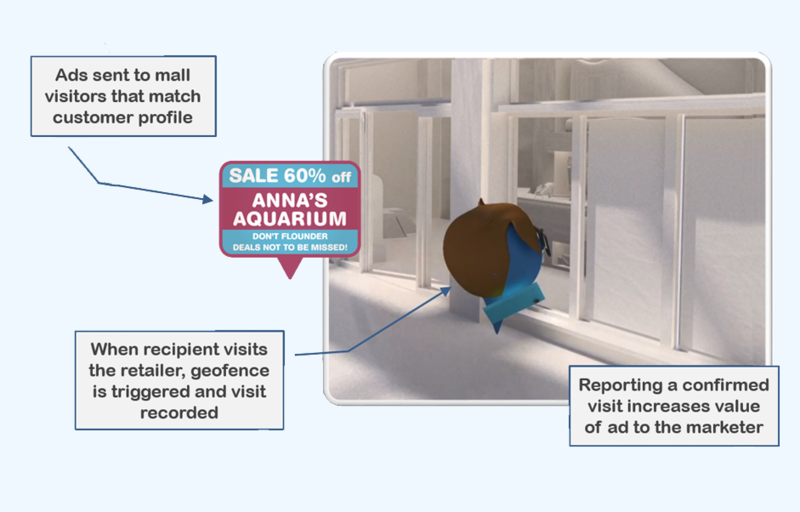 The Visit Confirmation application uses the sensewhere SDK for indoor positioning. The application has a map interface showing the indoor map of the mall. All retail stores in the mall are set up with geofences. Kiosks in the food court are all associated with a single geofence for the food court. The geofences are created using map geometry from Micello. Each geofence is populated with store name (POI) and details from the Micello Context API. The system has tuneable logic that compares determined mobile position with each store’s geofence to detect visits. The tuning parameters allow adjustment for uncertainty and desired dwell time of a visit. The platform shows a map of a mall. It monitors device position to determine when a store is visited. It requires a specified level of positioning accuracy and duration to qualify as an actual store visit. 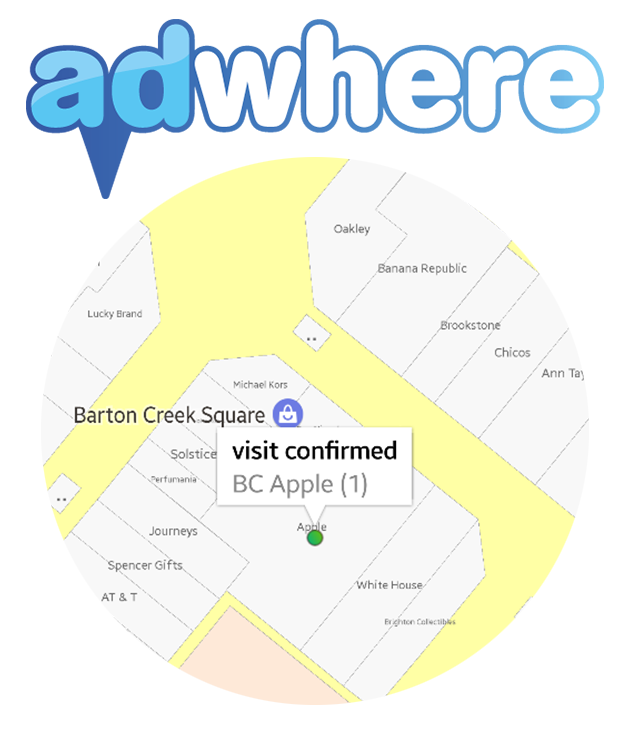 When a store visit is detected, a notification recorded and can be displayed on the map image showing which store the visit was in. The visit notification includes the name of the store and the total number of times that the store has been visited during the current session (in brackets). In most shopping malls, Wi-Fi signals are abundant while BLE beacons are deployed in some areas and with varying density. The sensewhere positioning system uses Wi-Fi signals and when available, BLE beacon signals for absolute position determination indoors. sensewhere Android positioning uses both Wi-Fi signals and BLE beacon signals for indoor absolute positioning. sensewhere iOS positioning is dependent on BLE beacons for indoor absolute positioning, so positioning accuracy has greater variation depending on BLE beacon availability. GPS signals are used when available for positioning and for calibrating the location of Wi-Fi and BLE beacon transmitters. Motion sensors are used for relative positioning and for detecting motion. The result is a continuous estimate of position that is used for detecting retail store visits. Number of visits detected in each store within the mall are counted by device ID. Detected visit counts are available in the mobile application, via sensewhere web dashboard, and via server API calls. Reported store visits correct >95% of the time. sensewhere SDK for mobile application. sensewhere web dashboard for viewing analytics including visit confirmation counts. Server API for programmatic access to analytics data.